Apple today seeded the first beta of an upcoming iOS 10 update to public beta testers for testing purposes, just under two weeks after releasing iOS 10 to the public and one day after providing the iOS 10.1 beta to developers. Beta testers who have signed up for Apple's beta testing program will receive the iOS 10 beta update over-the-air after installing the proper certificate on their iOS device. iOS 10.1 introduces a "Portrait" mode for the iPhone 7 Plus, which was first shown off when the iPhone 7 and iPhone 7 Plus debuted on September 7. Portrait mode is designed to mimic the kind of shallow depth of field images that can be taken with a high-end DSLR, with a front subject that stands out over a blurred background. 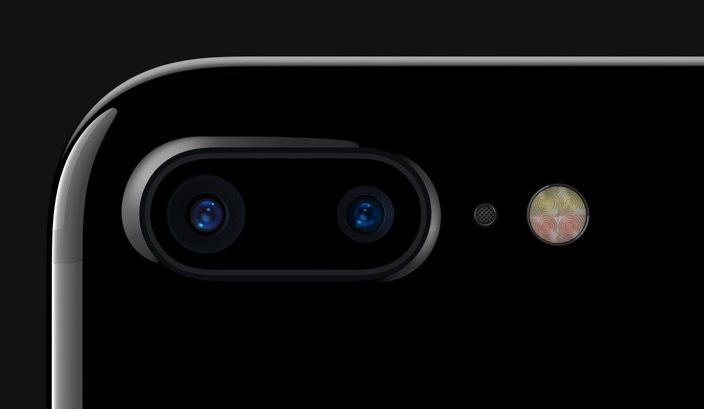 The two cameras in the iPhone 7 Plus capture images, which are scanned by the built-in image signal processor. Machine learning techniques are use to recognize people and/or foreground images, keeping people and main objects in while applying an artful blue or "bokeh" to the background. Portrait mode is an iPhone 7 Plus-only feature because it requires two images to create a depth map. iOS 10.1 also likely includes bug fixes and behind-the-scenes updates to address issues that have popped up since release. iOS 10 offers features like a redesigned Lock screen, a Siri SDK to allow third-party apps to integrate with Siri, and a completely overhauled Messages app with stickers, a full App Store, Digital Touch, Bubble Effects, and more. Other new additions include a dedicated "Home" app for HomeKit users, new facial and object recognition capabilities in Photos, and redesigned Maps and Apple Music apps. Ah, how could I forget!! Does anyone want to buy my 7+ 128GB? I need to buy an S7 now. Let's see how funny you are when Galaxy S8 comes out this fall? People were also saying "wait until the Note 7 is released. It's gonna destroy the competition." As far as I recall, it only destroyed hotel rooms. If you think that ANY smartphone has come close to ANY half decent DSLR, then you know nothing about photography or physics. As for 'surpassed' sure. And let me guess, it also transforms into a space ship and can fly you to the moon? I'll join you there for cocktails this evening. I have to say that I'm massively impressed with Apple's recent commitment to software QA and stability. I don't remember so many betas and GMs being thrown about before release. Plus the more devices out there, the more bugs people will encounter. Apple's growth over the last 5 years has been exponential. They've learned a lot from buggy disasters on launch date. iOS 7 and OS X Lion immediately spring to mind. Is there anything else new in 10.1? Sounds like its only a useful update for those of us that have 7 Pluses. Did you see this TechCrunch article ('https://techcrunch.com/2016/09/21/hands-on-with-the-iphone-7-plus-crazy-new-portrait-mode/') on the iPhone's Portrait mode? Some of their shots are damn good for a smartphone, especially the dogs and the mom holding a baby. The latter shows off how the depth mapping applies bokeh in proportion to the distance from the object in focus. In other scenes the effect fails but remember that this is Apple's first implementation which is still in beta. With hundreds of thousands field testing the effect it should improve dramatically for the iPhone 8. Huawei also uses the same technique on their dual lens cameras so there will be competition to push Apple as well. I've not seen many shots by the Huawei but it also looks quite good and stores the depth maps so that one can manipulate the depth of field in post. Too bad Apple's so concentrated on dumbing down their features because that would be awesome. Maybe a 3rd party app will offer that feature. And I'm sad, that iPhone are not able to do this. It's not perfect, but I'm sure it will improve over time. As it is, since you get both the original and depth mapped image you can open them as layers in Photoshop and clean them up using a layer mask. Here is an example of the original off the camera and a 30 second 'fix' in Photoshop. This was just a test snapshot. Yes no problem, just go to SamsungRumors and ask there. I'm sure a lot of Samsung fans are on the market searching for iPhones to buy after their expolsive Samsung device tried to kill them. Any Developer here can tell us if there are any significant bug fixes or performance improvements in this version? I have an iPhone 6S so I don't care about portrait photos. Is this combining images from the two lenses to build the portrait with the extra bokeh or is this just an algorithm to apply Gaussian blur or something like that to the background layer and then merges the images? Read the Tech Crunch article. It's way more complex and way better than either of those. Wrong in every way except the fast autofocus (which this also has).